We know the cannabis plant contains over 100 phytochemicals that are all known as cannabinoids. This is important to know because everyone, including you, has an endocannabinoid system that contains all different types of cannabidnoid receptors. While your body does produce its own cannabinoids, the ones that marijuana provides, cannabidiol (CBD) and tetrahydrocannabinol (THC), it does not produce. Since your body doesn’t produce CBD or THC, what are their effects on anxiety? Before we can answer this question, we first need to understand what both CBD and THC are and how they affect your body. CBD, or cannabidiol, is a compound derived from marijuana that has extremely well known medical benefits, but without giving you the ‘stoned’ feeling that smoking marijuana has. In fact, CBD can counteract THC’s psychoactivity, and this makes the CBD strain more appealing as it provides relief for symptoms such as anxiety, pain, inflammation, seizures, spasms, and psychosis to name a few. And the best part is that it doesn’t have the lethargy, dysphoria or disconcerting feelings as its counterpart, THC. And the best part about CBD is that all the studies that have ever been done have come to one point: there is no overdosing on it. That means that it is safe even at high doses. While there will more than likely be some side effects of taking CBD in high doses, it is nothing that will ruin your day tomorrow. In fact, most effects of CBD will wear off well before that, with the longer effects lasting up to about 8 hours. As medical marijuana becomes increasingly more popular, so do the cannabinoids. With more and more research discovering the many health benefits that they have to offer, it only makes sense that people will want to abandon the ‘traditional’ opioid form of prescription medicine for the more effective and natural one, CBD. THC, also known as tetrahydrocannabinol, is one of over 400 different chemical compounds produced by the cannabis plant. It is this particular chemical that produces the ‘high’ when introduced to the human body. 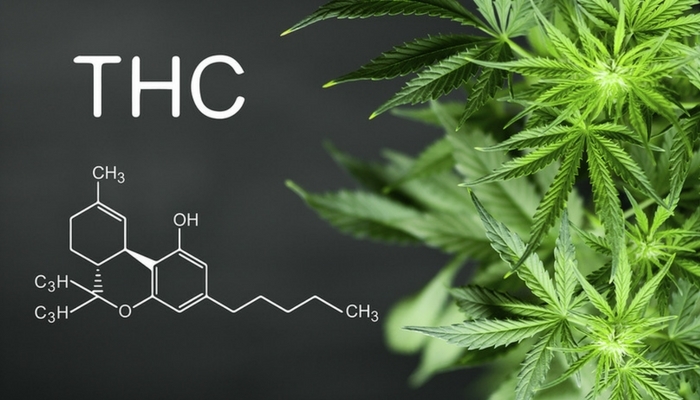 THC is considered a cannabinoid and is also the most unique cannabinoid among all of the others. The main reason THC stands out above all the others is due to one reason and one reason only: it provides the strongest psychoactive feelings. It is considered a psychoactive because once it is smoked, inhaled, etc., it affects the mind in a euphoric type of way. It activates a psychological response once it enters the body. And since your body and mind are both connected to each other, THC effects both your physiological, as well as psychological. As you can see, CBD and THC are very similar. They both have unlimited potential when it comes to medical uses and are both growingly popular among not just medical patients, but also recreational users. They are both cannabinoids that are found in the cannabis plant, as well as interact with your body by going through the endocannabinoid system. On top of that, they both work well to alleviate many of the same symptoms and ailments. What makes the CBD vs. THC debate different? The main difference when it comes to CBD vs. THC is the euphoric, or ‘high’ effect after it has been consumed. When you think of marijuana, you more than likely think of THC. It works by directly affecting the brains CB1 receptors, which in turn give you the psychoactive effect or high feeling. CBD, on the other hand, does not bind with any of the brain’s CB1 receptors. This means that CBD can never cause the same high feeling that THC does, no matter how much of it you ingest. In fact, CBD works to suppress the any of the CB1 activating compounds of THC. While THC and CBD can both be found through the flowers of marijuana and hemp, both are present in cannabis plants. THC is more dominantly found in marijuana, CBD is more dominantly found in hemp. When it comes to THC, it is more prominently found in the chemical makeup of marijuana. In fact, marijuana is typically cultivated to maximize the amount of THC in it. In today’s world, marijuana plants contain an average of 12 percent THC. 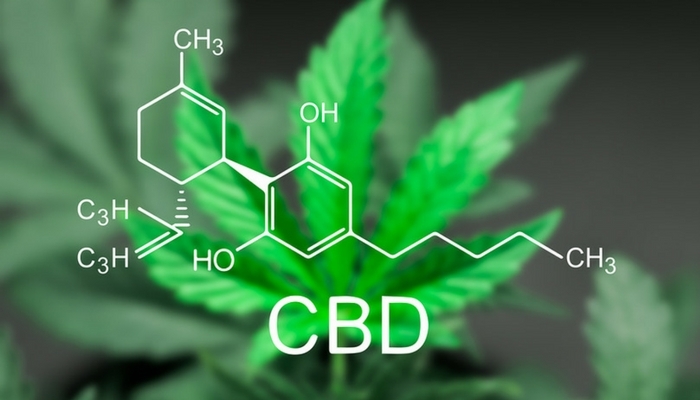 CBD, on the other hand, is more prominently found in the chemical makeup of the hemp plant. Which explains a lot as the THC content of hemp is usually no more than 0.3 percent. Almost a full 10x’s less potent than the absolute least potent type of marijuana. Hemp does naturally have much more CBD vs. THC, which makes it the most ideal source of CBD. When it comes to CBD vs. THC, they are very similar but extremely different. While they both work to alleviate a plethora of different ailments and symptoms that both include anxiety, they also work differently on the human body and more specifically, the brain. Where THC is more of a psychoactive, CBD is not. When it comes to the debate of CBD vs. THC and which one is better for alleviating anxiety, it all comes down to you. Do you want the high feeling that THC will provide or the less psychoactive effect of CBD? Pingback: Can CBD Help Improve Your Focus?